e capacidade para tirar deles o melhor proveito. Traumatol. do Hosp. das Clín. da Fac. Med. da Univ. de São Paulo. only now found some uselfulness to the prophylactic brace. for those who are in the postoperative rehabilitation program. and capabilities to effectively use them. 1º ano pós-operatório, para permitir a remodelação dos ligamentos. a( 1 7 , 4 3 ) . custa cerca de US$ 400.00)(27) . em joelhos com instabilidade permanente. seu modelo intrínseco e construção(54,67) . flexão, ajustando-as a qualquer amplitude de movimento. e translação normais do joelho durante o ciclo da marcha. 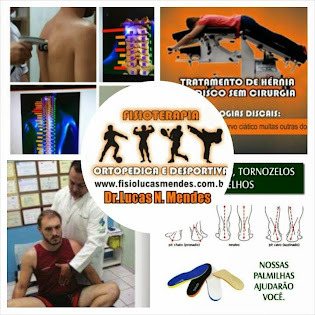 à translação anterior a 20° de flexão(54). gravitacional das partes moles; 3) contração muscular. moles e escorregamento da órtese(71). varo/valgo; 4) estrutura rígida de extremo a extremo. resultou na menor força e a anterior, na maior(57,71) . por malhas elásticas e tiras(54) . stabler ou a cada um isolado(3). favor do seu uso(22) . em virtude de sua inefetividade e potencial de lesão. do tornozelo, como as achadas por Grace & col.(24) . bem tolerada, e redução rápida do edema pós-operatório. de cargas ao nível do joelho. a possibilidade da formação de pontos de pressão. (straps) (ex. : Lenox-Hill, Don Joy 4-point braces). e rotação sobre o LCM em flexão e extensão(5). verticais e anterior na fase inicial de contato(37) . muito inferiores aos enfrentados pelos atletas. 2) Em joelhos instáveis, resulta num aumento de 4,58%. r i o r( 7 , 8 , 1 5 ) . i v a( l l ) . com pivot shift; 5) após cirurgia reconstrutiva. ântero-posterior, varo-valgo e/ou rotacionais do joelho. indicações aumentam como mencionado previamente(53). básicos: 1) profiláticos; 2) reabilitativos; e 3) funcionais. os custos de seu uso. do médico sobre suas limitações e capacidades. Report. August 17-18, Chicago, IL, USA, 1984. 2. Anderson,G., Zeman, S.C. & Rosenfeld, R.T.: The Anderson knee stabler. Phys Sports Med 7: 125-127, 1979.
and rotation. Am J Sports Med 20: 416-421, 1992.
braces on medial stability. Am J Sports Med 15: 566-570, 1987. J Sports Med 17: 182-186, 1989.
nonoperative and postoperative management of serious ligament injuries. Am J Sports Med 8: 63-67, 1980.
rotatory instability. Am J Sports Med 11: 345-348, 1983.
testing of functional knee braces. Am J Sports Med 14: 253-256, 1986.
cruciate ligament injuries. Am J Sports Med 14: 143-147, 1986.
anterior cruciate deficient knee. Am J Sports Med 18: 618-623, 1990.
rigidity. Clin Orthop (247): 175-192, 1989.
rotatory instability. Am J Sports Med 15: 161-163, 1987. Bone Joint Surg [Am] 69: 1, 1987. Knee. Am J Sports Med 15: 430-438, 1987. Joint Surg [Am] 56: 1316, 1974. Grace, T.G., Skipper, B.J., Newberry, J.C., Nelson, M.A., Sweetser, E.R. extremity. J Bone Joint Surg [Am] 70: 422-427, 1988.
knee stabler in football. Phys Sports Med 13: 75-81, 1985.
in college football. Am J Sports Med 14: 262-266, 1986.
treadmil running. Am J Sports Med 19: 639-643, 1991.
stability in orthotic knee braces. Am J Sports Med 12: 371-374, 1984.
intercollegiate football players. Clin Orthop 256: 174-177, 1990.
isolated grade III collateral ligament injury in high school football players. Clin Orthop 213: 137-140, 1986.
results. J Bone Joint Surg [Am] 69: 1007-1012, 1987. J Sports Med 18: 354-358, 1990. Sports Med 9: 233-239, 1981.
sports-injured patient. Orthop Clin North Am 19: 725-735, 1988.
resection in the rabbit. J Bone Joint Surg [Am] 48: 1145-1155, 1966.
the Lenox Hill denotation brace. Clin Orthop 172: 137-142, 1983.
of the knee, Indications, technique and the results in fifty-two patients. J Bone Joint Surg [Am] 55: 899-922, 1973.
study in primates, Clin Orthop 123: 210-242, 1977.
passive motion on the clearance of a hemarthrosis from a synovial joint. Clin Orthop 176: 305-311, 1983. J Sports Med 14: 35-38, 1986. Paulos, L.E., France, E.P., Rosenberg, T.D., Jayaraman, G., Abbott, P.J. of the valgus restraints to loading. Am J Sports Med 15: 419-429, 1987.
im Leistungssports. Fortschr Med 107: 150-152, 1989.
injuries in high school football. Int Pediatr 2: 255-256, 1987.
at lowa State University. Orthop Prosthet 37: 54-57, 1983.
knee. Orthop Rev 18: 719-727, 1989.
college football. Am J Sports Med 15: 111-116, 1987.
in articular cartilage. J Bone Joint Surg [Am] 62: 1232-1251, 1980.
cruciate ligament reconstruction. Am J Sports Med 18: 292-299, 1990. Sittler, M., Ryan, J., Hopkinson, W., Wheeler, J., Santomier, J., Kolb, R.
injuries in football. Am J Sports Med 18: 310-315, 1990.
increase intramuscular pressures in the anterior compartment of the leg. Am J Sports Med 20: 46-49, 1992.
braces on knee motion. Acta Orthop Scand 59: 284-287, 1984.
players. J Bone Joint Surg [Am] 69: 2-9, 1987. Wirth, C.J. & Kobn, D.: Reconstruction of the antenor cruciate ligament.